Oklin International supplies a line of commercial composting machines that can compost from 25kg of food waste a day, up to 1350kg of food waste a day. 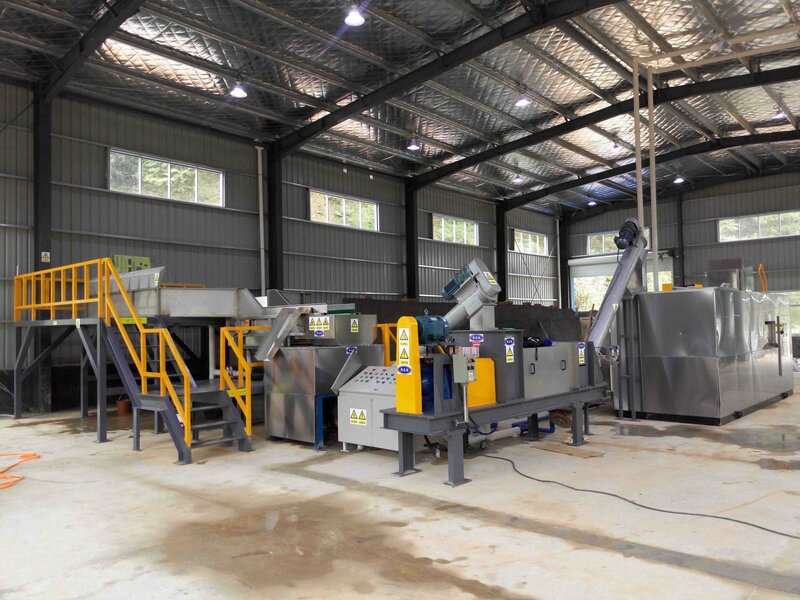 Apart from the line of commercial units, Oklin also offers a large scale composting machine set up for the Asia market. 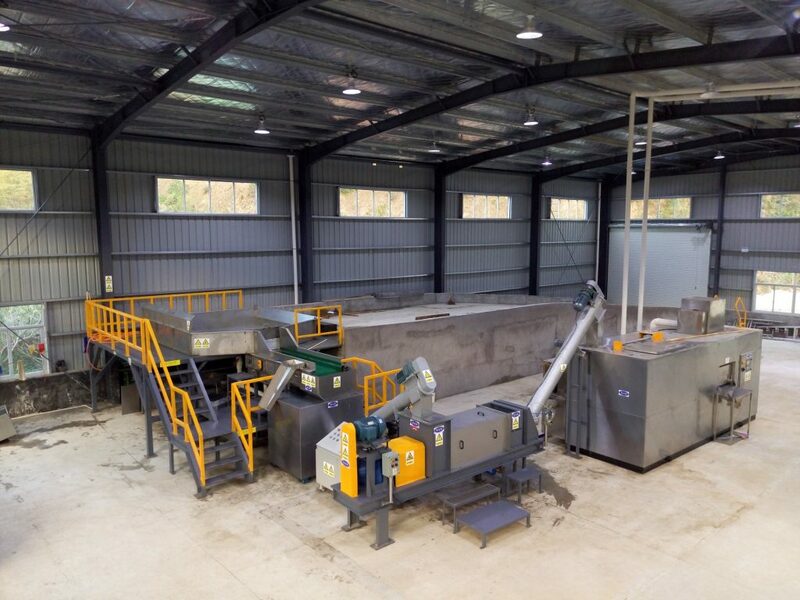 Our machines, when paired with a grinder, and water squeezer, can increase the machine’s daily composting capacity. One such example is a large scale set up in Fujian, China. The GG500s has a daily capacity of 1375kg/day (1.375 tonnes). When paired with the above accessories, the machine’s capacity is increased to 6 tonnes a day. Food waste is collected in waste hauling trucks and emptied onto the sorting platform. Operators remove contamination like plastics, metals, non-organic materials, and extra-large objects from the food waste. The food waste is then pushed towards the conveyor belt and into the oil and water separator. The oil and water separator compresses the oil and water from the food waste, to reduce the amount of moisture content within the organic waste. Through a conveyor belt system, the food waste is then moved to the shredder. The shredder is used to pulverize food waste to reduce its surface area, thus increasing the machine’s daily composting capacity. Apart from small particle size, reducing the water content in the food waste is also crucial to increasing machine’s composting capcity. The squeezer presses the food waste against a fine mesh screen to remove as much water as possible. The food waste is then transported through a conveyor belt and emptied directly into the composting machine. Such large scale composting systems are ideal for central food waste collection sites. The food waste is quickly composted in 24 hours, and the reduction rate is 80-90%. The compost can then be screened, and used as soil amendment.